All the plants absorb carbon dioxide (Co2) and release oxygen into the air. 10 Air purifying plants list published by NASA in 1989. Research done in NASA space station, that suggest efficient Air Cleaning is accomplished with at least 1-2 plants per 100 sq.ft. for home or office space. Most recent research said that micro organism in the potting mix(soil) of a potted plant remove Benzene from air and some plant species also contribute to removing Benzene. The NASA clean air study has been led by NASA in association with ALCA. 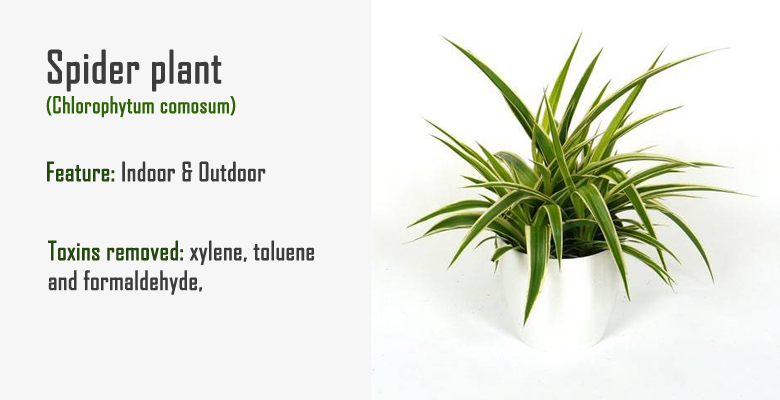 They found that common indoor plant may be provide a natural way of removing toxin agents such as Benzene, formaldehyde, xylene. Ammonia: Found in window cleaners, floor waxes, smelling salts and fertilizers. Benzene: Found in plastics, rubbers, nylon & synthetic fibers, drugs and pesticides. Xylene: Found in printing, rubber, tobacco smoking, leather and paint. Carbon Monoxide: Found in cooking stoves, water heaters, clothes dryers, fireplaces, charcoal grills, wood stoves, power generators, motor vehicle and cigarette smoke. Trichloroethylene: Found in printing Inks, paints, varnishes and paint remover. Formaldehyde: Found in paper bags, waxed papers, plywood paneling. The quality of indoor air has become a health consideration, since urban spend 80% to 90% their time Indoors, where air pollution can be several times higher than outdoors. Most environmental scientists and agencies agree that indoor air pollution is realistic threat to human health. All above pollutants contribute to “sick building syndrome“. sick building syndrome is known to reduce productivity. symptoms associated with short term exposure, headache, nausea, vomiting, swelling, coughing, irritation, confusion, heart problem, kidney problem and eye irritation. Indoor Air Pollution – How Can the Problem be Solved? Scientists and agencies agree that indoor air pollution is a big threat on human health. Use of houseplants as a tool in solving indoor air pollution problems on Earth. The below mention plants are ability to resolve the problem. just keep the 1-2 plants inside your home per 100 sq. ft.
All the plants are easily available in local nursery and online nursery just pick the plants from there and take care of plants, they will take care of you. 1. 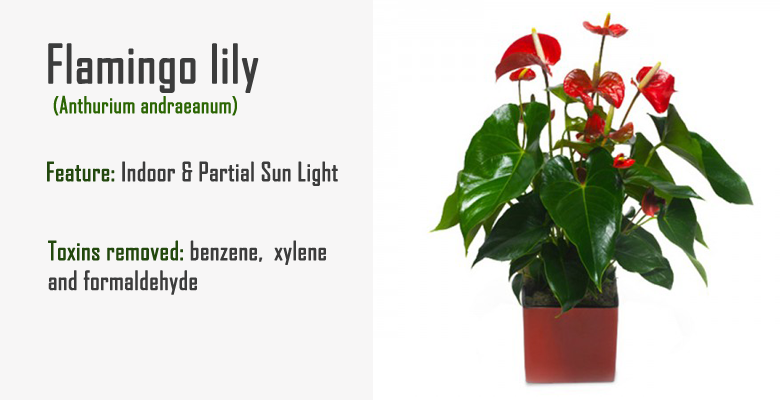 Anthurium (Flamingo Lily): Anthurium is one of the best air purifying plant. this plant is beautify your home with their red heart shape flower, Most common colors of anthuriums are red and shades of red. Anthuriums need a high light but not direct sunlight. it’s remove toxins like benzene, formaldehyde and xylene from air to take a fresh breathe. 2. 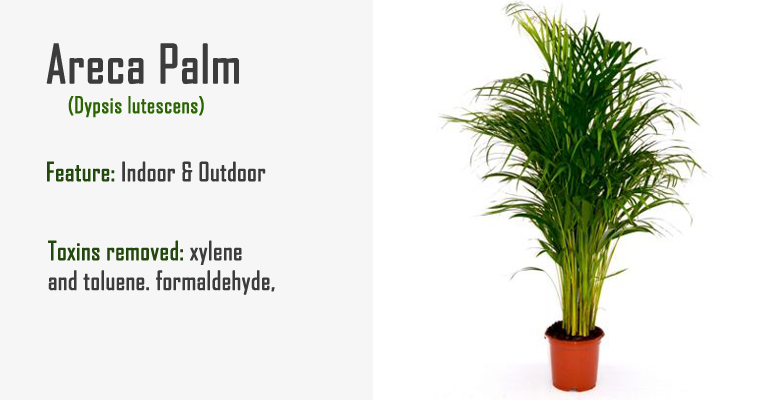 Areca Palm (Dypsis lutescens): Areca Palm is widely used plants for bright interior and air purifying plants. it’s require sufficient in direct sunlight and water. Areca palm is easily available in local nursery. it’s removed xylene, toluene and formaldehyde from air and make it cleaner to take fresh oxygen. 3. Peace Lily (Spathiphyllum ‘Mauna Loa’): Peace lily is excellent choice for home or office and also excellent plant for air purifying. 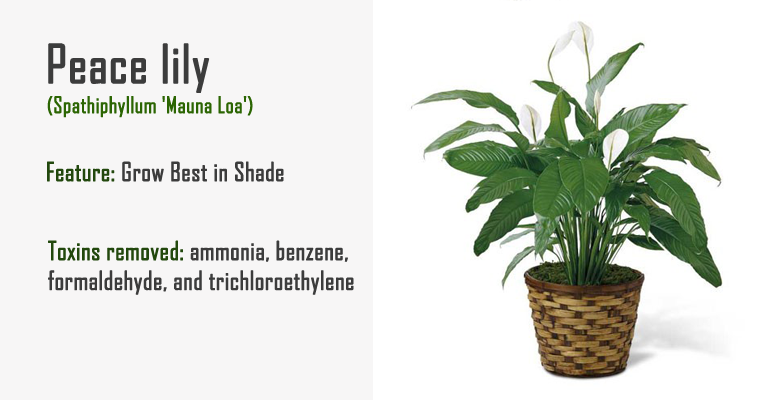 like many indoor plants peace lily require medium to low light and easy to care. peace lily have dark green leaves and white flowers it’s make it beautiful. 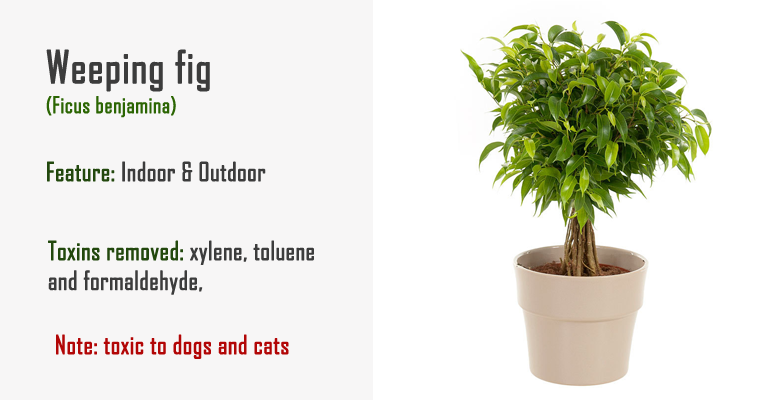 they are best air purifying plants and removed toxins like ammonia, benzene and trichloroethylene. 4. English Ivy (Hedera helix): English ivy plants are superb climber they can climb any surface by means of small roots that grow along the stems. Prefers moist, shady locations and avoids exposure to direct sunlight, the latter promoting drying out in winter. It’s removed pollutants from air like benzene, formaldehyde and trichloroethylene. 5. 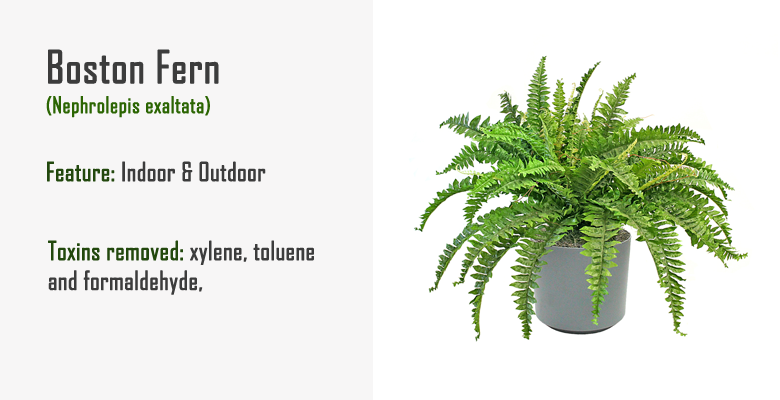 Boston Fern (Nephrolepis exaltata): Boston ferns are popular houseplants, it’s easily available. Boston fern is required extra humidity and check the soil on daily basic when it’s feel dry, provide them sufficient amount of water. it’s removed xylene, toluene and formaldehyde from air. you can have 1-2 plant in 100 sq. ft. for best air purifying result. 6. 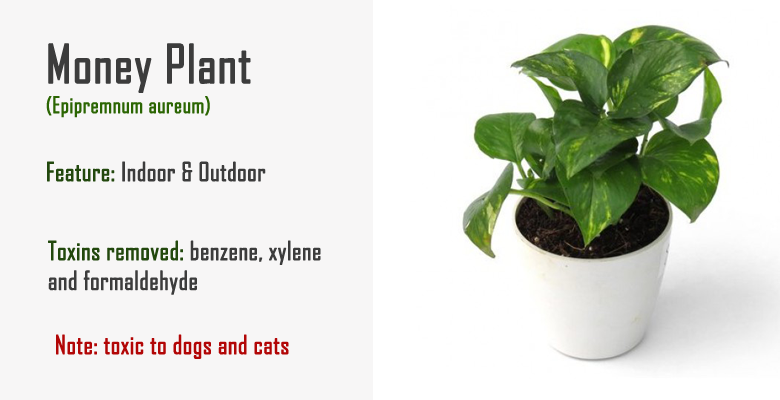 Money Plant(Epipremnum aureum): Money Plant is a popular houseplant that is grown indoors mostly in water and best air purifying plants. It is believed that having money plant at home brings good luck, happiness, wealth and prosperity. It’s very easy to grow in water filled bottle and soil. it’s difficult to kill so it’s called devil’s vine. 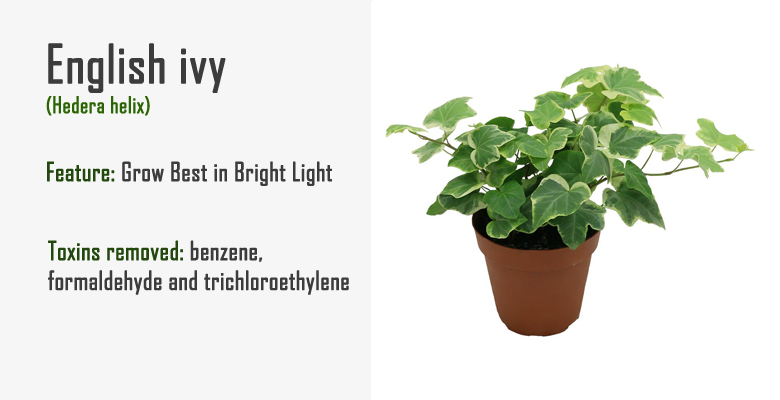 money plant removed pollutants, benzene, xylene and formaldehyde. 7. Snake Plant(Sansevieria): Snake plant care is very straightforward. they can survive low light levels, drought and have few insect problems. 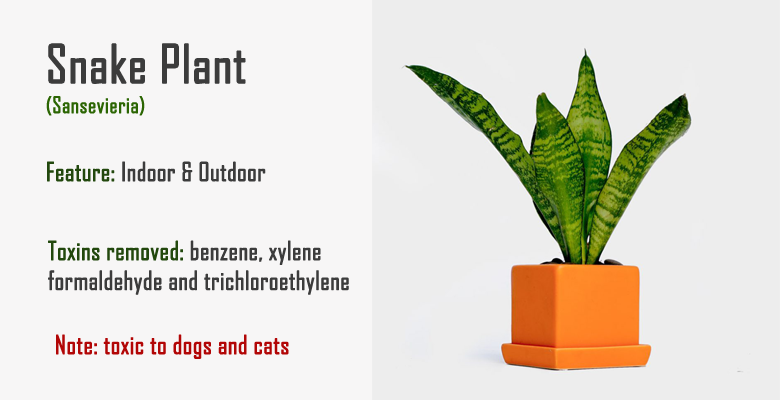 NASA research has even shown that snake plants are able to keep the air inside your home clean, removing toxins such as formaldehyde and benzene. they are perfect houseplants for air purifying. 8. Spider Plant(Chlorophytum comsom): spider plant is so named because of its spider-like plants. 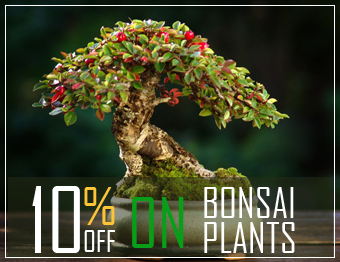 they are best air purifying plants, remove pollutants from air such as xylene, toluene and formaldehyde. This plant can grow in a wide range of conditions. 9. 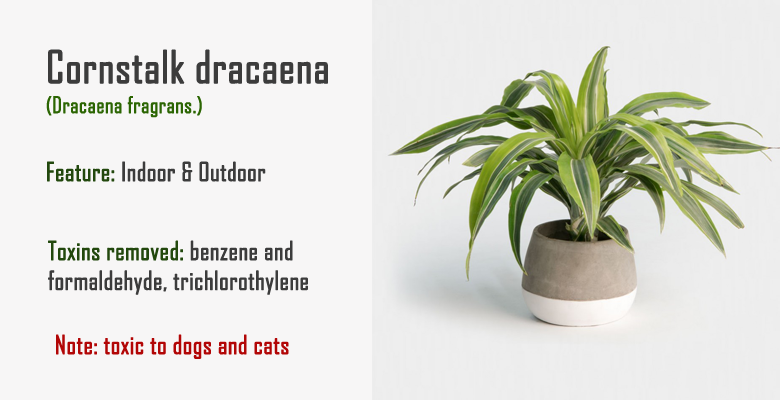 Cornstalk Dracaena (Dracaena fragrans): dracaena grows well as a houseplant in any location. it’s enjoys medium light but can tolerate low light conditions. New leaves will narrow if there isn’t enough light and direct sunlight will bleach the leaves. During the active growth period water plentifully, as often as necessary to keep the potting mixture thoroughly moist, but never allow the pot to stand in water. It’s removed pollutants form air such as benzene, formaldehyde and trichloroethylene. 10. Ficus (Weeping fig): These ficus trees are slow-growing, but can grow to 10 ft indoors. Dwarf varieties only reach 3 ft (90 cm) tall. You can prune tall branches to control the plant’s height. having ficus in living room help to purifying air and remove pollutants such as xylene, toluene and formaldehyde. 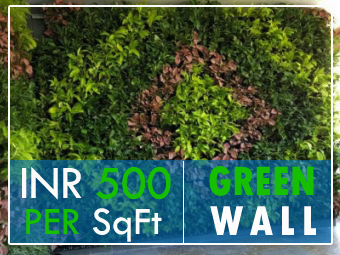 Above all the plants are purifying air inside our home or office and increase the productivity. so it’s easy to keep 1-2 plants in your home or office, the cost of plants are not so much higher, they all are cheaper. 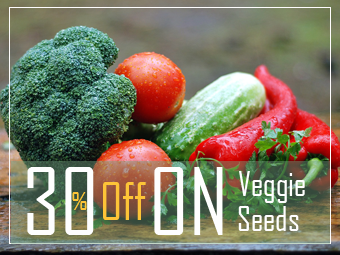 some online nursery providing all the plants at your doorstep just put an order online. Hi, I visit the link you have mentioned here and content is very fine. you have described every single point nicely. Thanks for visiting our blog. Hi Yacon Root, Thanks for spending your valuable time to read our article, we hope, you get some good niche. Hi Teisha, Thanks for your valuable comment, hope you will enjoy to read some good article next time. You don’t have aloe vera here..? Thanks for spend your valuable time to read article. Aloe Vera has many utilization. In next article, will introduce all the plants having air purifying quality. wow! 10 best air purifying plants for home or office…I enjoy your lovely blog and articles. I simply want to tell you that I am beginner to blogs and certainly enjoyed your web page. Probably I’m planning to bookmark your blog post . You actually have terrific well written articles. Thanks a bunch for revealing your web site. 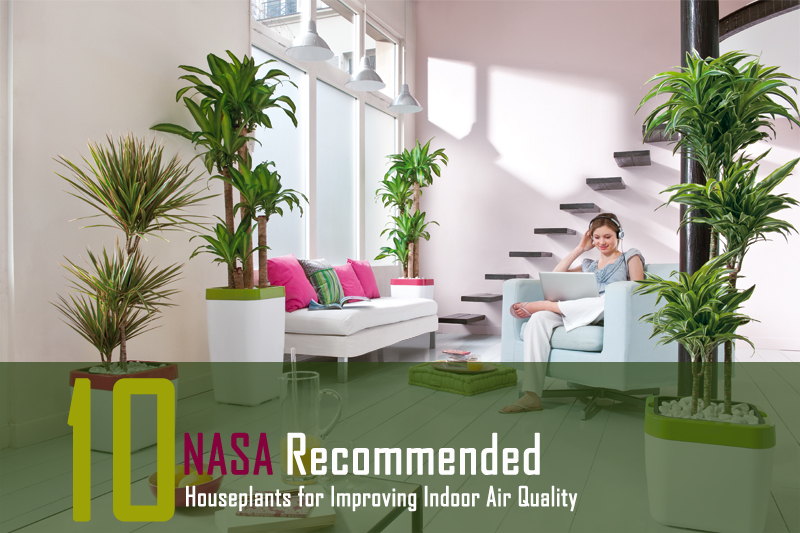 Amazing Post about affect 10 AIR PURIFYING HOUSEPLANTS FOR REMOVING TOXINS FROM AIR: NASA CLEAN AIR STUDY.